Plus Technologies’ partner Shazam Information Technologies SRL has recently updated their website to include partners. With this new update Plus Technologies is now listed on their website. Additionally, Shazam is listed on Plus Technologies’ website; under the menu Partners – Reseller Partners-International. Specifically, on Shazam’s website (www.shazam.it), Plus Technologies can be found under EOM (Enterprise Output Management). Since 1993 Shazam IT is an established benchmark for consulting, solutions and services in the area of information technology for businesses of any type and size. Furthermore, the solutions offered by Shazam IT come from the best international manufacturers and developers, while the services come from Shazam’s experienced employees, most with many years at major multinational computer science companies. Moreover, Shazam is certified to sell, implement, and support OM Plus Delivery Manager (DM) and optional modules into Italy. Also, primary markets: Italy, Italian Switzerland, Vatican State, San Marino Republic, and Croatia. Plus Technologies has an extensive partner program that can take several forms. These are partners that have chosen to distribute Plus Technologies software within their software or solutions as the advanced print module. Many of these partners have branded the Plus Technologies software with their own name and look & feel. These are partners that are entitled to resell OM Plus directly to end customers or through their channel partners to end customers in the US and Canada. In most cases there is no integration or renaming involved. These are partners that are entitled to resell OM Plus directly to end customers or through their channel partners to end customers outside the US. Plus Technologies is seeking Channel Partners for the UK market. Plus Technologies offers a comprehensive partner program, strong discounts and will share leads. If interested please contact us at [email protected]. Plus Technologies has relationships with Consultants and Alliance Partners that have expertise in print related areas. With the partners described in this group we have partnered to provide print or related solutions. In addition, some of these companies have experience with providing technical support for Plus Technologies software but do not resell new licenses. These are companies that do not resell Plus Technologies software but offer print consulting services including ERP implementations, document design, printer asset management, managed services, project management and many more. 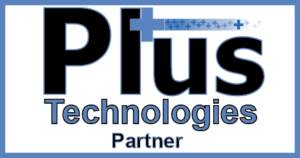 Plus Technologies welcomes potential partners. Also, we have an extensive partner program and can tailor to suit any partners’ needs.